It’s not uncommon for us bloggers to use social media networks like Facebook and Twitter to drive traffic to our blogs or websites. We consistently share our content on these platforms more often than the other social networks. Why aren’t we leveraging Instagram? Instagram can be a very potent social media lead generation tool and great traffic generation social site in your promotion strategy. It can drive your targeted audience to your blog if you leverage it properly. Instagram has 500 million active users as reported in November 2016. This is much higher than twitter’s 310 million active users. Instagram users like an incredible 4.2 billion posts on a daily basis. That’s the equivalent of over half the world’s population, busy liking posts on Insta. 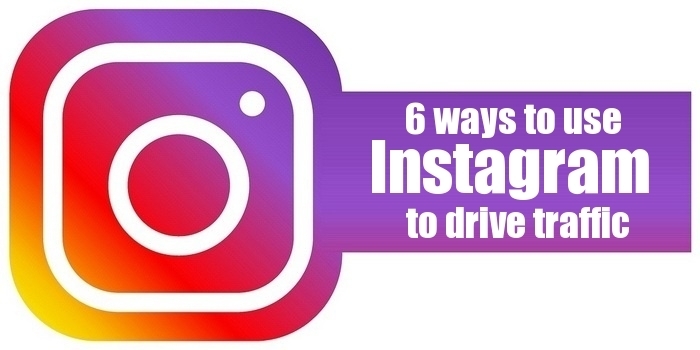 75% of Instagram users are known to take action. Giving us a great opportunity to generate blog visits. If you have your call to action in place. These are just a few stats to show why you need to start utilising Instagram to drive traffic to your blog. Tweet This 95% of all social media engagement is happening on Instagram! A targeted approach to Instagram is a must. Your audience is not concerned about your personal life, they want information and solutions to their problems. Create a blog specific Instagram account which will connect with your users. Your profile description should be interesting and self-explanatory. This will help get more followers. Which means more traffic to your blog eventually. There is only one place on Instagram where you can have your website link in and that’s your profile. The trick here is to change the link periodically to engage your followers on different levels. Maybe you want to drive more email subscribers? Then it is advisable to have a neat landing page link in the profile and so on. 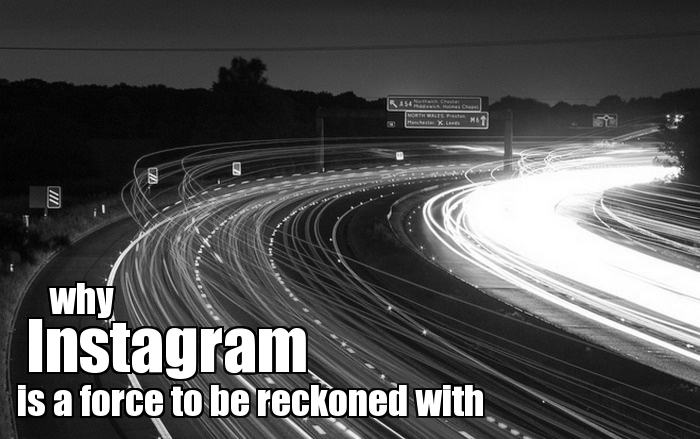 Instagram is a visual platform, hence it is best to put your Call-To-Actions in the image. Make the images unique and give them the character to attract followers. You can summarise the CTA in the image caption and ask them to check the Instagram link in the bio. Your posts don’t stay forever on your follower’s timeline, Instagram feed changes real fast. Using #Hashtags will be the difference between staying discoverable or getting lost in oblivion. Use an adequate number of keywords as hashtags. This will help Instagram bring up your posts when anyone looks for your keyword. One method to increase traffic to your blog is to watch trending hashtags on Instagram and use them on your posts too. Remember, do it only if it is relevant to your niche. Create special contests specifically for Instagram users and promote to your followers. You can also offer special discounts on purchase of affiliate products or your own products such as e-books to your followers. This will direct traffic to your blog. An influencer has more reach and their recommendation can exponential grow your audience. Connect with influencers from your niche and pitch them to help you reach out to their followers. This is possible only if you are able to create amazing content in the form of videos, copy or images. In most cases, if your content is good enough, you might get a mention and share from the influence. So fellow bloggers.Do you now see how useful harnessing the power of Instagram to drive traffic to your blog can be? Why wait then, go on, get busy on Instagram. Let me know how using Insta helps generate traffic for your blog. If you already use Instagram for your blog promotionS go ahead and share your experience in the comments below. Raghu Rao is an Avid blogger who blogs about the intricacies of blogging, affiliate marketing, social media, blog monetization etc. He blogs regularly at BloggerHacks. He is also an active B2B consultant who consults for corporates from across the world in the energy and infrastructure business. Awesome! Already know this stuff but with these tips it’s the only way of increasing engagement with followers on instagram. With the help of infobunny I increased my followers on instagram and reached 1000+. Thank you infobunny for another great article! I am just starting to leverage Instagram (I know, late to the party) and it’s a bit of a learning curve getting used to the hashtags and the different way people engage there, but so far it’s been a really fun platform to experiment with and to get to know people in my niche. Announcing contest is really great idea to drive traffic from instagram. I never tried instagram for promoting my stuff. Hello Dexter! I actually just got started on instagram a month or so ago and will put these tips into use right away! Hi, I literally like the way your explanation and accepted these are the most part of digital marketing and Using Instagram is one of the best. Thank’s Dear. thanks for this.. with your help i ve reached 900+ followers..
Great guide, but I’m still bummed they won’t let you put links in image descriptions! Your welcome, I hope I am one of them. with your help i ve reached 900+ followers.